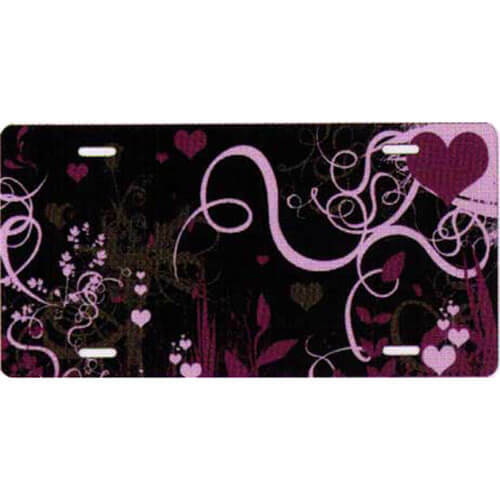 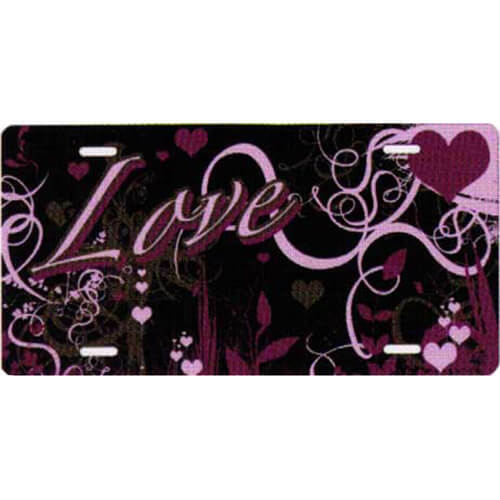 Heart themed novelty license plates. 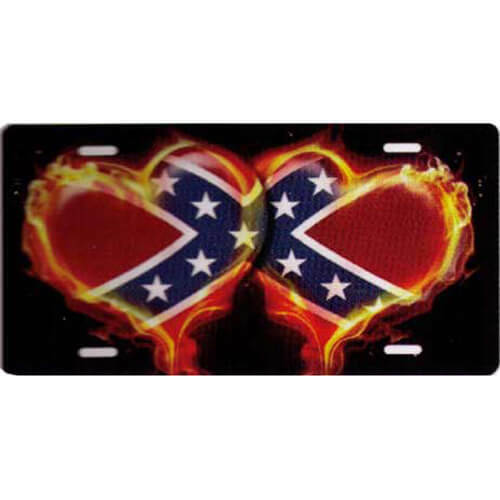 Flaming rebel flag hearts on a black background. 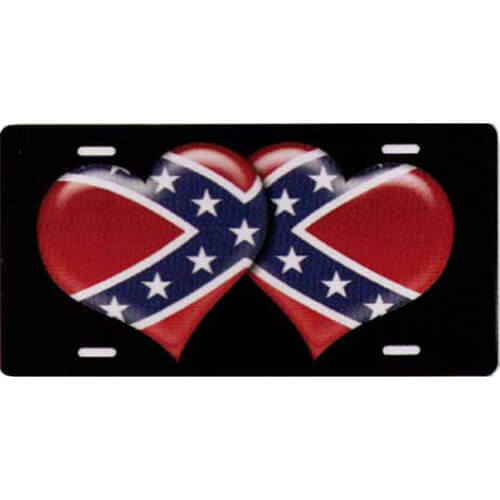 Rebel flag hearts on a black background. 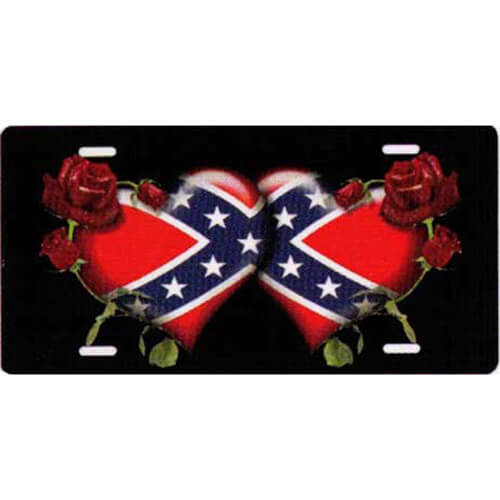 Rebel flag hearts, with roses, on a black background. 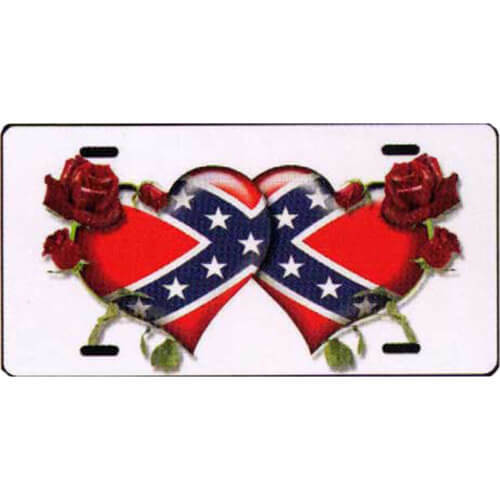 Rebel flag hearts, with roses, on a white background. Flaming blue hearts on a black background. 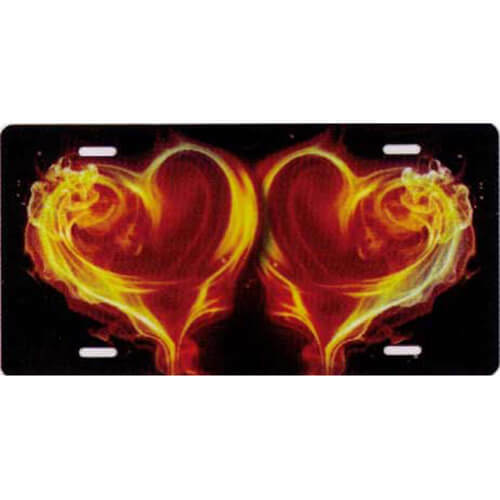 Flaming red hearts on a black background. Flaming blue hearts, with red edges, on a black background. Flaming purple hearts on a black background.